The interior of a YMCA canteen at Cambrai. The two women in the photograph are named on the original caption as Miss Inskip and Miss Dale. 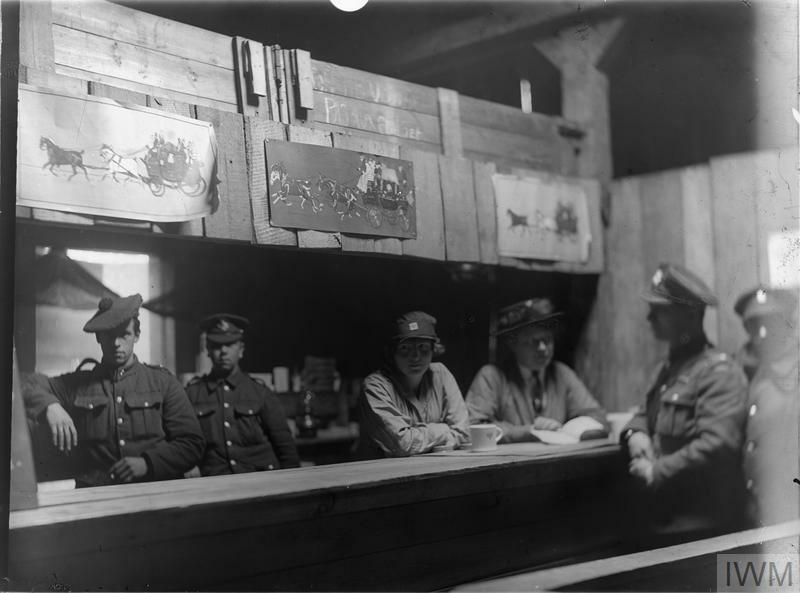 The interior of a YMCA canteen at Cambrai. Miss Hall photographed with a rabbit at a farm at Grange-le-Comte. Maintaining this farm was part of the post war reconstruction work of the Friends' War Victims Relief Committee (FWVRC). The farm later became their headquarters. 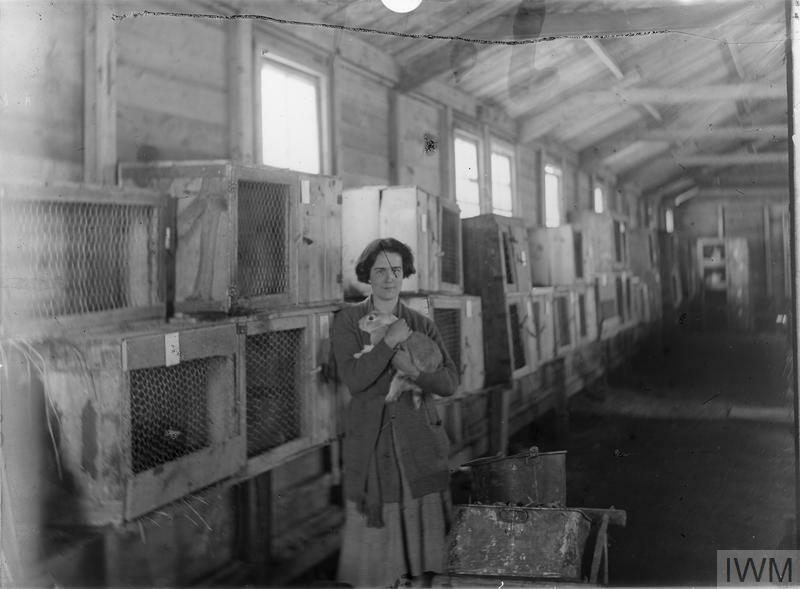 Miss Hall photographed with a rabbit at a farm at Grange-le-Comte. This photograph shows women of the Queen Mary’s Army Auxiliary Corps (QMAAC) at work in RAF engine repair shops at Pont de l'Arche. Olive Edis’s photographs of women at work are more serious and intimate than earlier commissions recording women workers. 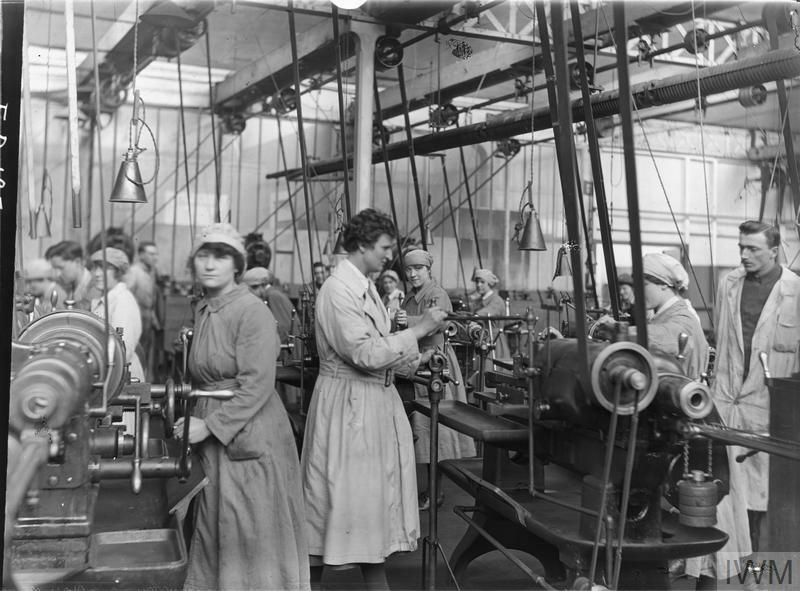 This photograph shows women of the Queen Mary’s Army Auxiliary Corps at work in RAF engine repair shops at Pont de l'Arc. 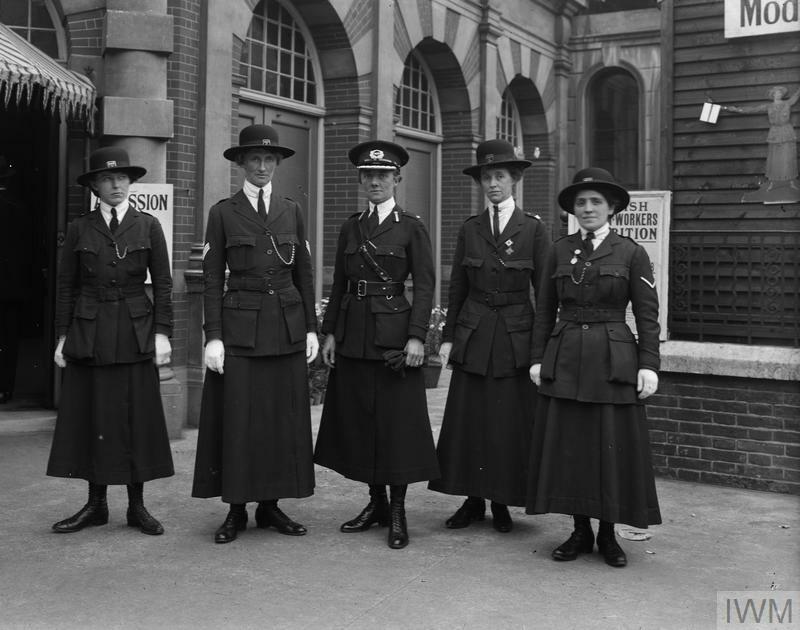 Women from the Queen Mary’s Army Auxiliary Corps (QMAAC) working in the Registrar’s office at the Archbishops Palace in Rouen. 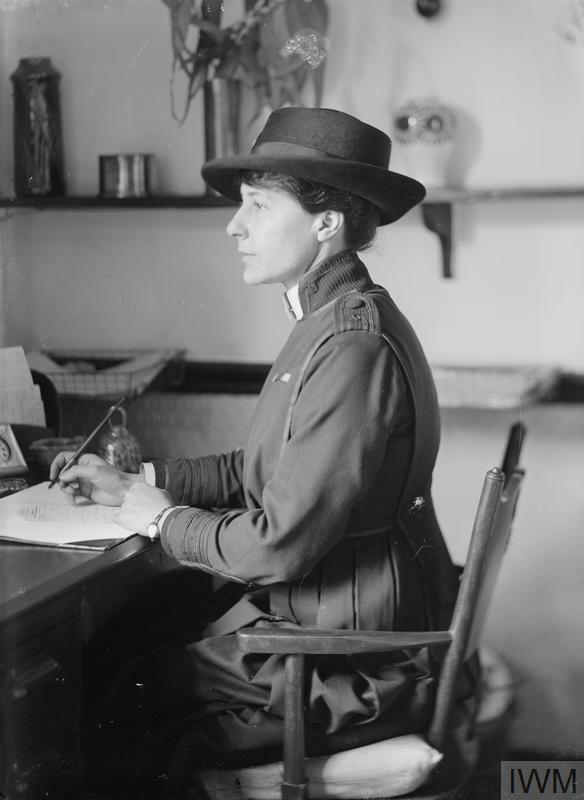 Over 57,000 women served with QMAAC, at home and abroad, before it was disbanded on 27 September 1921. 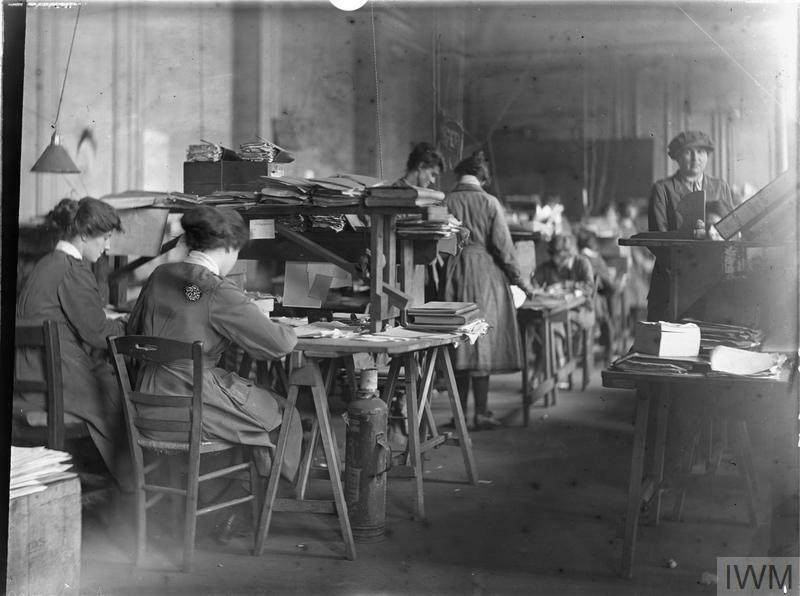 Women from the Queen Mary’s Army Auxiliary Corps working in the Registrar’s office at the Archbishops Palace in Rouen. Miss Fletcher, an administrator with the Voluntary Aid Detachments (VAD), in her office at the Hotel Christol, Boulogne. Images such as this one, which capture something of the character of the sitter, illustrate Olive Edis’s skill as a portrait photographer. Miss Fletcher, an administrator with the Voluntary Aid Detachments, in her office at the Hotel Christol, Boulogne. Women from the Queen Mary’s Army Auxiliary Corps (QMAAC) operating the telephone exchange at Henriville. Olive Edis was keen to show the range of skills shown by women in work other than the more familiar nursing or medical services. 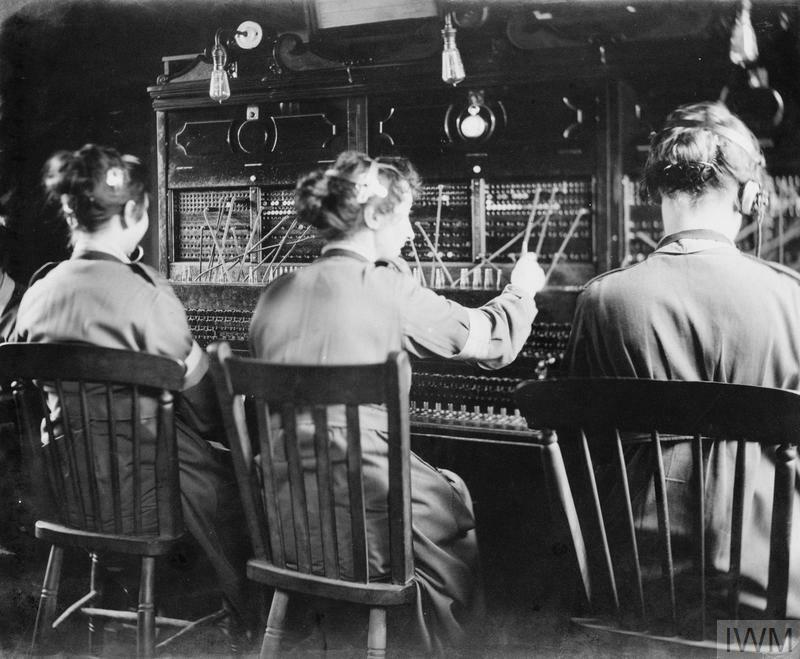 Women from the Queen Mary’s Army Auxiliary Corps (QMAAC) operating the telephone exchange at Henriville. 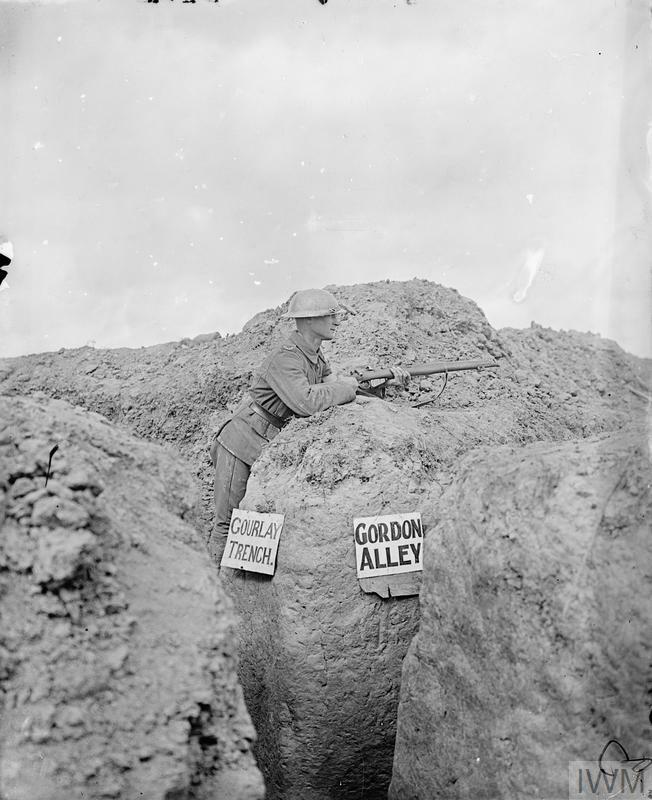 Gardeners from the Queen Mary’s Army Auxiliary Corps (QMAAC) tending the graves of the war dead at Etaples. The wooden crosses would later be replaced by white headstones. 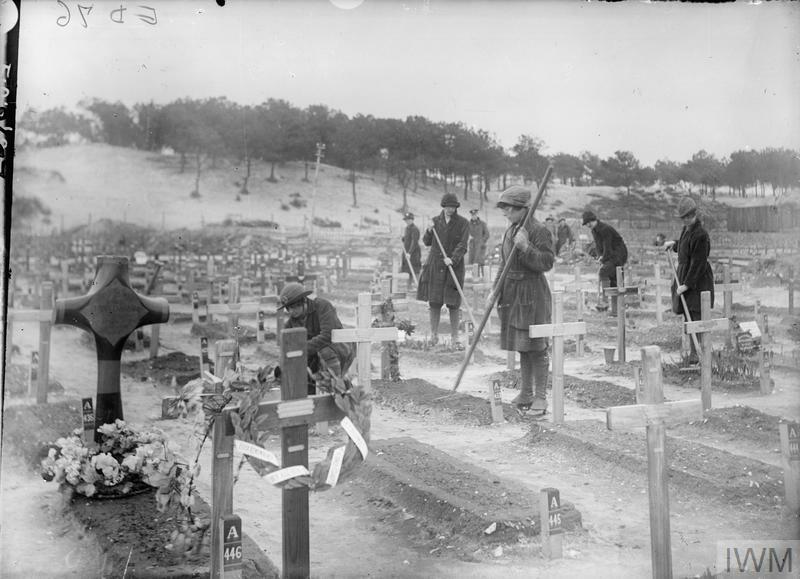 Gardeners from the Queen Mary’s Army Auxiliary Corps tending the graves of the war dead at Etaples. 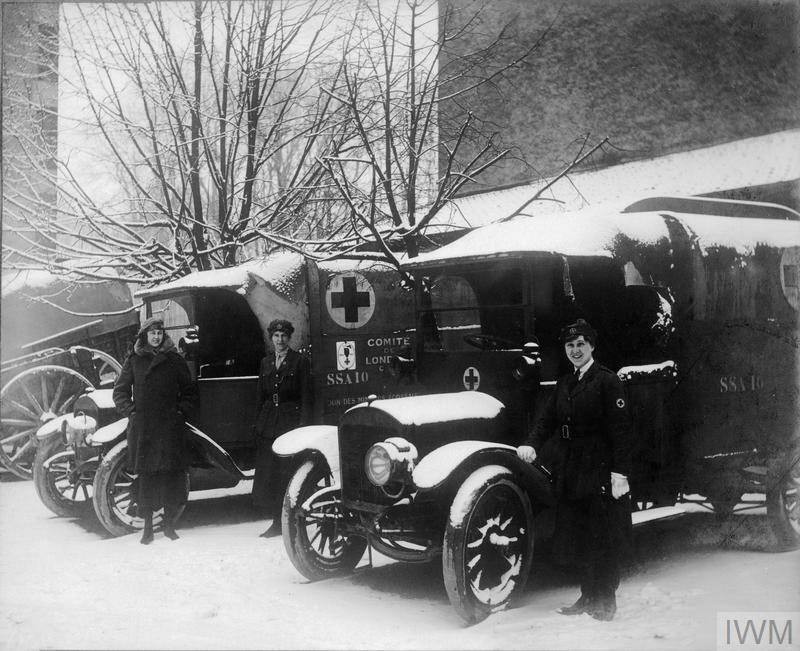 First Aid Nursing Yeomanry (FANY) drivers with their snow-covered vehicles at Commercy. Olive Edis’s month long tour of France began in March and, as shown by this image, the weather remained cold and snowy. First Aid Nursing Yeomanry drivers with their snow-covered vehicles at Commercy. 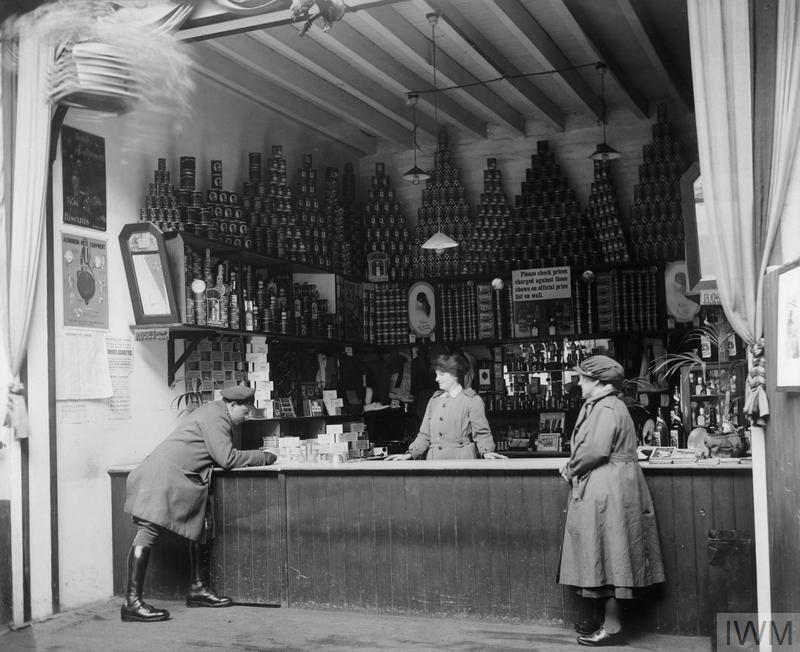 The well-stocked shelves of the Officers Expeditionary Force Canteen in Le Havre with a member of the Queen Mary's Army Auxiliary Corps (QMAAC) behind the counter. 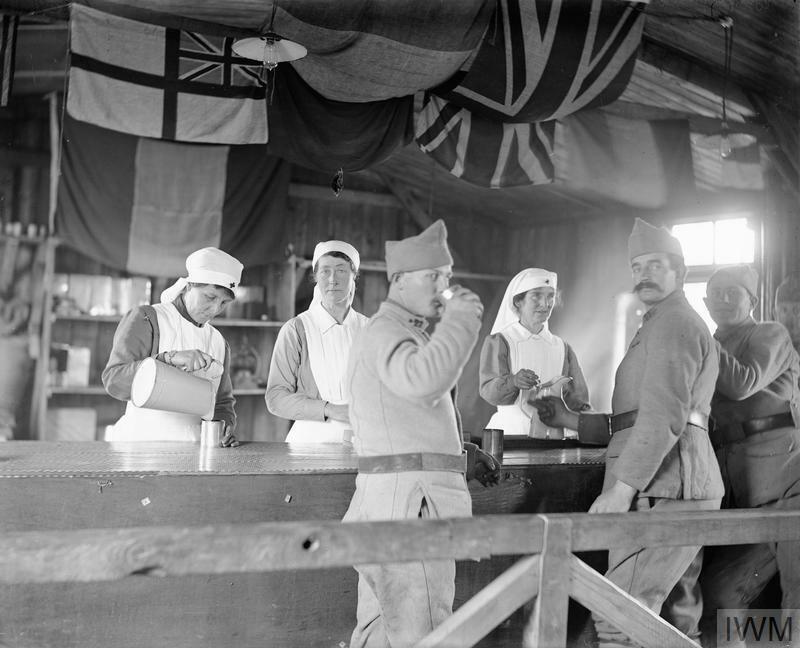 The Officers Expeditionary Force Canteen in Le Havre with a member of the Queen Mary's Army Auxiliary Corps behind the counter. 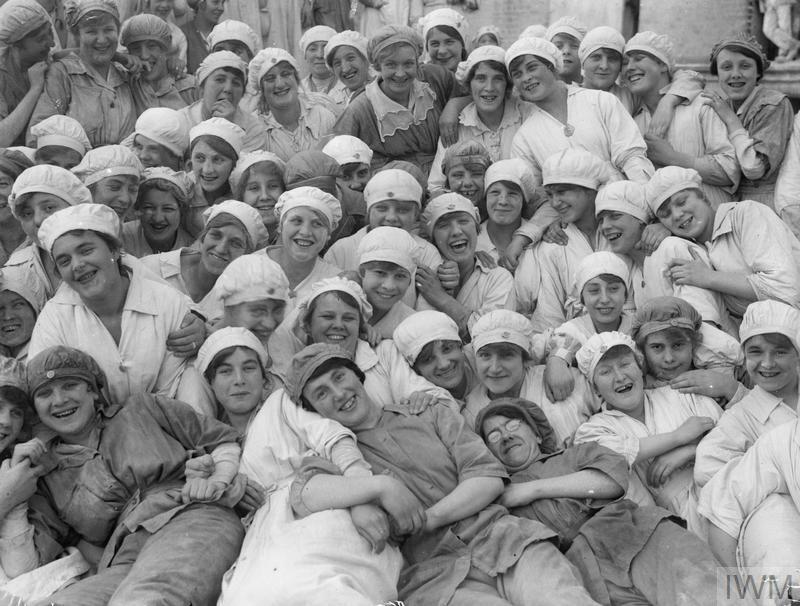 A French Red Cross Canteen at Compiegne staffed by British women. The First World War was fought on a huge industrial scale. Munitions were needed in vast quantities to feed the guns and a variety of products were required to supply both military and civilian needs.